Tis the season for candy. Candy, candy, candy. What do you do with all your leftover Halloween candy when the holiday is over? Set some Butterfingers aside to use for a delicious recipe. 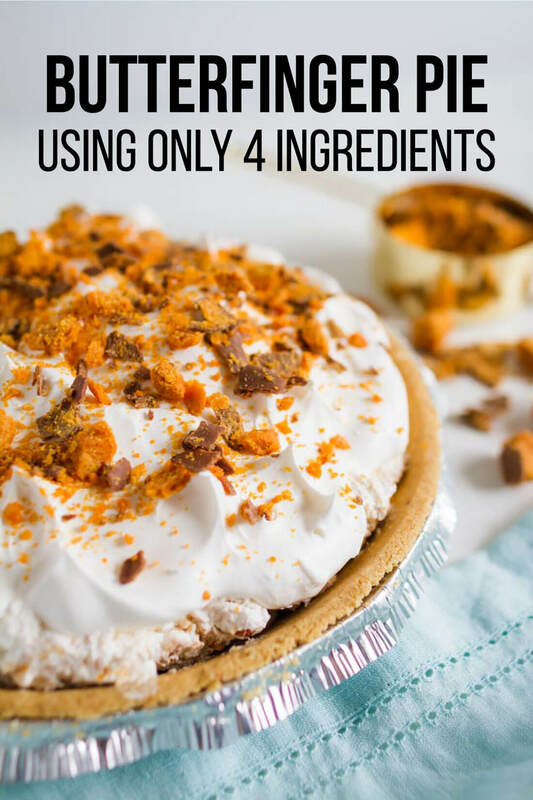 It’s only 4 ingredients. And it takes less than five minutes to make. But you do have to chill it for several hours. So you need to reserve some time to make sure it’ll set. 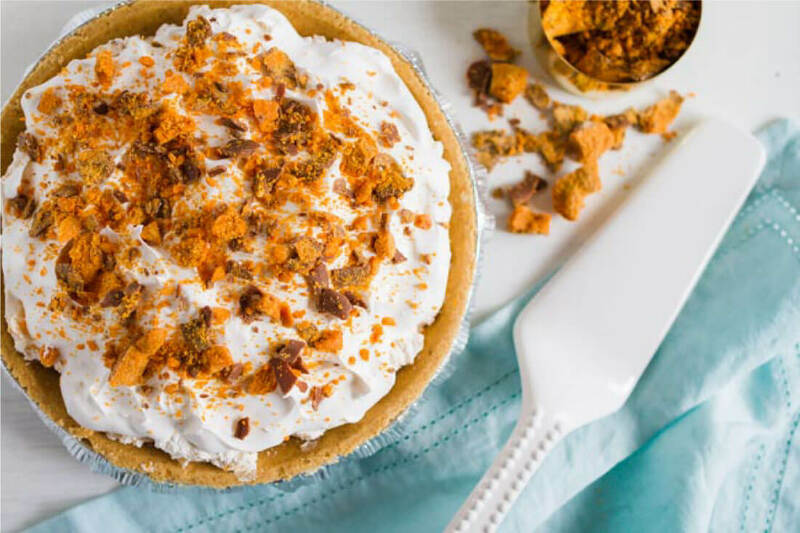 If you love Butterfingers, this one is for you. But you can use all types of candy bars to substitute for the Butterfingers. Try it with Snickers, Heath bar, etc. The kids can get in on the action by crushing the Butterfingers! It’s the best part. 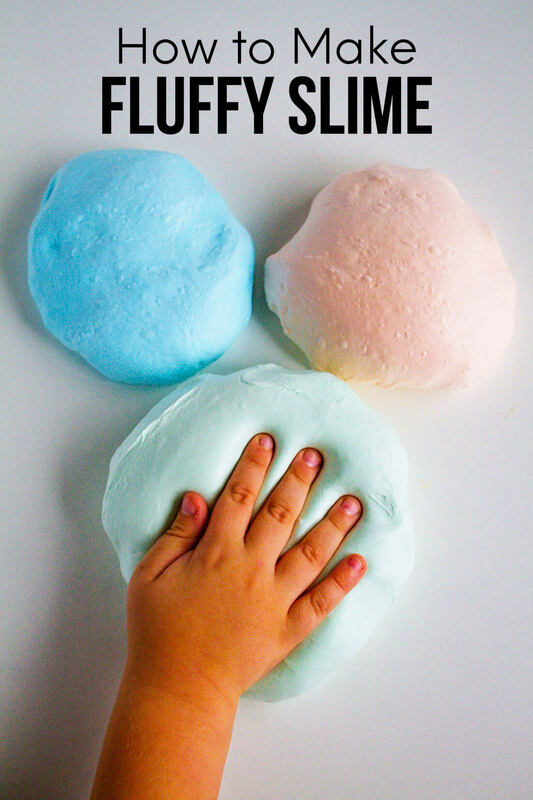 My kids love baking and cooking with me so this is the perfect (easy!) recipe to get them involved in. They could even make it on their own. It’s pretty fool proof. How long do you have to refrigerate it before sserving? 2 hours enough? Visit http://Www.shop.2girlzgonegourmet.biz for 50 Dessert Mix flavors to expand your pie, cake, frosting, and Dip choices!! Easy fast and affordable. Just Delicious!! Try it today! ! I have made this and we loved it i am swapping the candy up on this one i am using reese cups they are my dads favorite and then maybe a kit kat one for me! Oh my. This sounds phenomenal. Butterfingers are my favorite candy bar! I can’t wait to try this. Thank you so much! 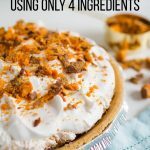 This pie looks fabulous, and I love the fact that it’s only four ingredients! This looks so delicious. Thanks for sharing the recipe. 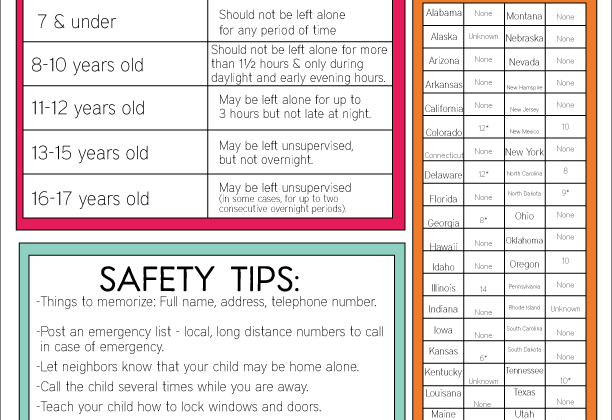 this looks so good and easy to, i like it! 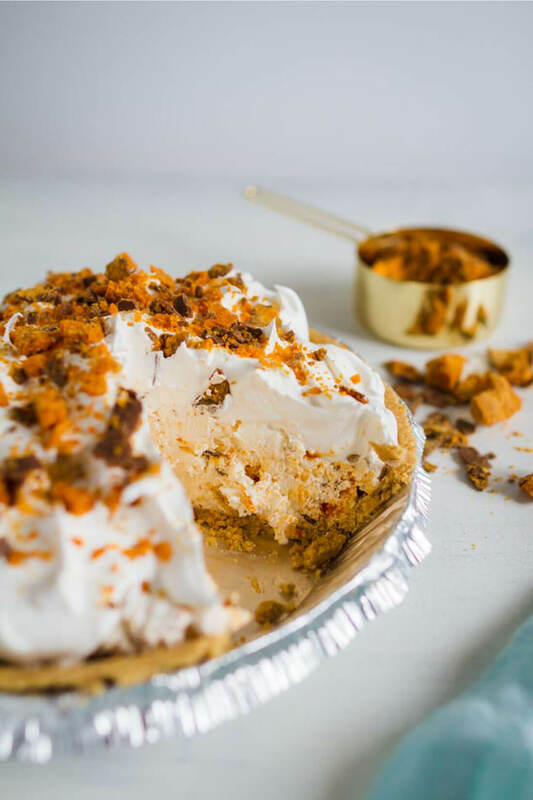 My husband loves butterfinger, I will have to make this for him!